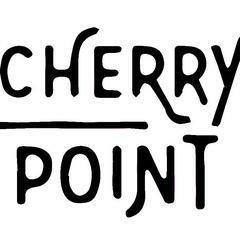 Cherry Point seeks a dedicated Back Server / Barback to join our team. <br><br>Requirements:<br>At least 1 year experience working in full service restaurants;<br>Positive, team-work oriented attitude;<br>Legally documented to work in NYC;<br>Available on weekends.<br><br>Responsibilities:<br>Food running;<br>clearing and resetting tables;<br>assisting servers and bartenders;<br>stocking the bar;<br>stocking and polishing glassware;<br>juicing;<br>light cleaning.<br><br>Please include a resume with your response.<br><br>Opening May 11, Cherry Point is a contemporary neighborhood restaurant and bar located inside a former butcher shop in the heart of Greenpoint. With an open kitchen and a chestnut and copper bar, Cherry Point offers house-made charcuterie, seasonal fare and craft cocktails.<br>Opening May 11, Cherry Point is a contemporary neighborhood restaurant and bar located inside a former butcher shop in the heart of Greenpoint. With an open kitchen and a chestnut and copper bar, Cherry Point offers house-made charcuterie, seasonal fare and craft cocktails.